1x12 Eastern White Pine tongue and groove has both interior and exterior charm. 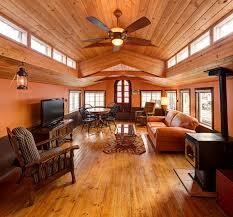 Many contemporary homes add tongue and groove to porch roofs and sun rooms as well as cathedral ceilings. The picture above reflects a heavy timber rafter porch system decked with our 1x12 car siding. With several white pine options to choose from we are sure to please with both product and service. 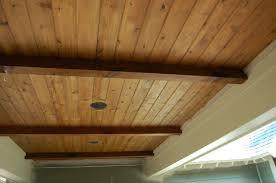 Cover your walls or ceilings in Eastern White Pine. Choose one or choose both. Either way our 1x12 tongue and groove will draw attention to any room. We offer both smooth and rough sawn face on most products and can supply most orders with specific lengths. 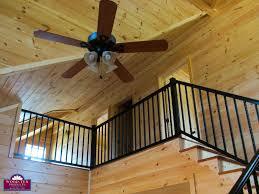 Call Smoky Mountain Wood Products today and see why we are the industry leader in White Pine. Too much wood for your liking? Tone it down or go all out with our 1x12 tongue and groove. Mix it up with board and batten, ship lap, chink groove siding, or yellow pine floors. Smoky Mountain Wood Products is your home for everything white pine and so much more. 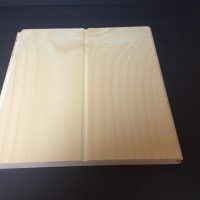 Please see our full line of Eastern White Pine tongue and groove and White Pine sidings. Compliment your project with Perma Chink stain from Smoky Mountain. We offer significant discounts when purchasing both wood and stain together.